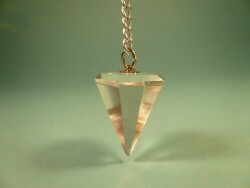 A pendulum can come in many shapes and sizes but it will always have a pointed end. It hangs on a chain and is usually made of crystal, metal and/or wood. It is used to obtain “answers from the beyond” or the own sub consciousness. It is a useful tool when we are confused, unsure or in doubt about anything. It is used to guide us, answer questions and direct us along the ‘right’ path. It advises on simple and complex questions like personal dietary needs or profession changes. To make its use effective it is vital to know how to use it correctly. In this course we learn how to use this mystical and simple tool properly. To begin with one first learns to become completely still externally, but more importantly internally through a meditation technique. This is very important because the mind tends to “chose” according to external appearance rather than following intuition. Inner silence makes more sensitive and enables you to “find” YOUR tool. 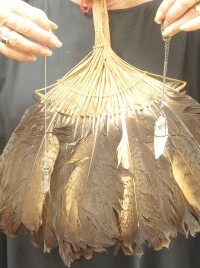 We learn to program that pendulum through several rituals. Then the pendulum is really your own, ready to be used and should not be touched by anyone else. It needs to be kept in a particular pouch whenever it is not being used. When this is learnt and understood we start using the pendulum to get answers. Again we meditate so thoughts and mind do not influence or manipulate. Otherwise the answers reflect your will and wishes. We begin with simple questions. For example you may ask if a particular herb is good for your body by pendeling that herb out until you receive a clear answer. You then advance to more complex questions like ‘is this course right for me?’ or ‘shall I sell my house?’. Of course life changes like the seasons and acts complementary as the elements do. Therefore no answer of the pendulum is static. It always reflects and supports the situation in that moment, for that person (micro cosmos), in its place of the universe (macro cosmos). We should always carry it with ourselves in its pouch to use whenever needed. The longer we work with the pendulum the closer and familiar the connection becomes. This allows for more intimate and delicate questions to be asked.